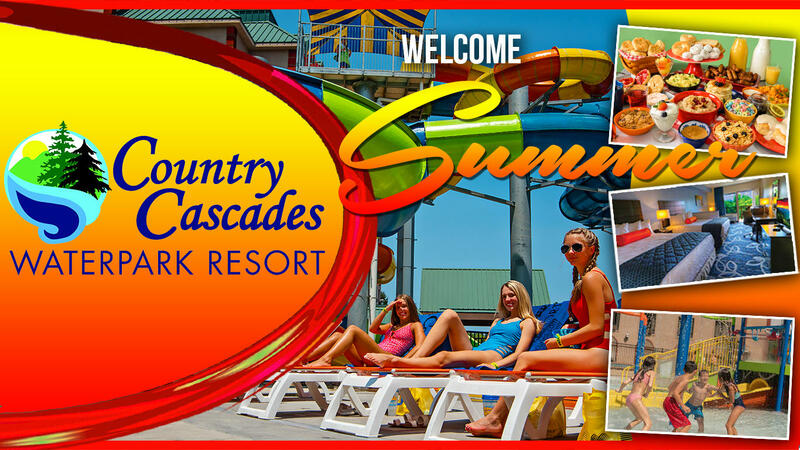 Get all the latest news and specials from Country Cascades! 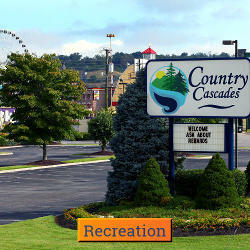 With over 75,000 gallons of water, the Cascades Waterpark is your vacation destination. 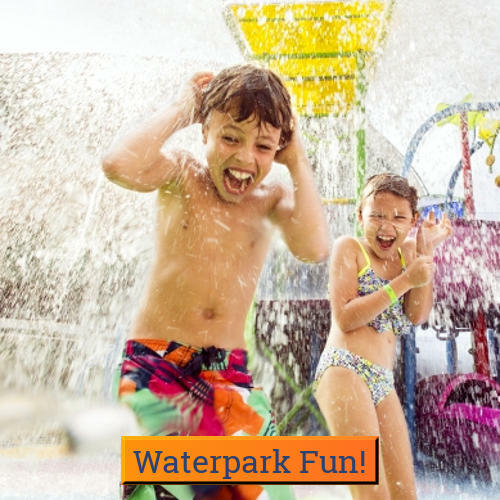 Whether it's the 4-story twists and turns of the River Run body slide or the sweeping thrill of the River Chaser, you're sure to find a new favorite. Not to mention Splashaway Bay, the beached entry leisure pool, the indoor pool and hot tub, the outdoor pool and sunning deck, and the convenience of the Snack Shack - when it comes to fun, we've got you covered. 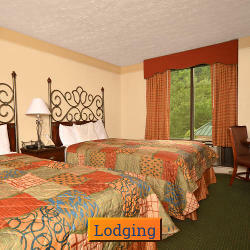 Our non-smoking guest accommodations provide a range of choices that are sure to fill your needs. 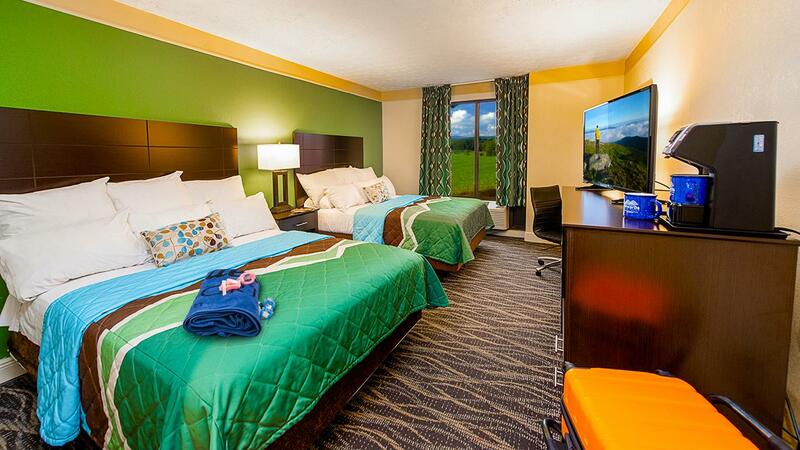 From the King Suites to the the family oriented rooms of the new Summit Tower. All guests enjoy a full breakfast buffet each morning in Grandma's Kitchen. 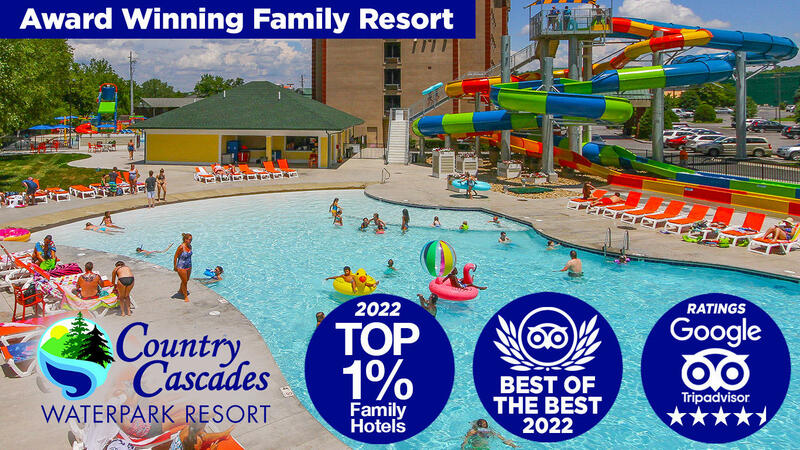 Located in the heart of Pigeon Forge, Country Cascades Waterpark Resort is surrounded by shopping outlets, restaurants, and activities that bring millions of visitors to the area each year. 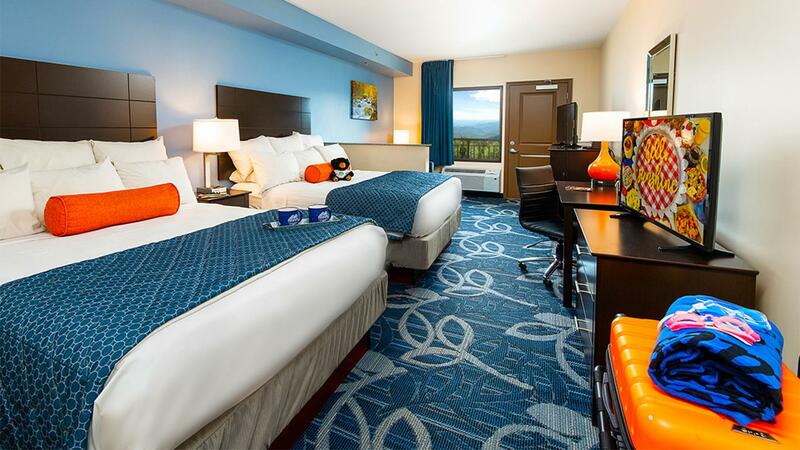 The Island and Walden's Landing, as well as all the great restaurants and shopping along the Parkway, are just a few minutes walk from the resort. Parking is free in our adjacent lot, but we do not have facilities to accommodate RV or trailer parking.